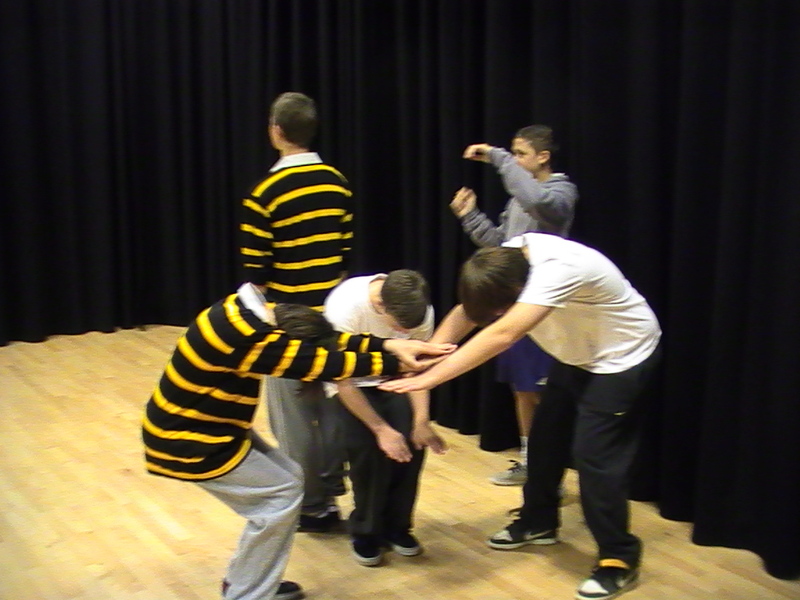 PERFORMANCES and WORKSHOPS – Tailored to your needs. “Absolutely superb. An unforgettable and thought provoking experience for our students. Definitely worth the money.” Lynette Elshawarby, Director of Learning, Cadbury College, Birmingham. “I cannot recommend this workshop enough. 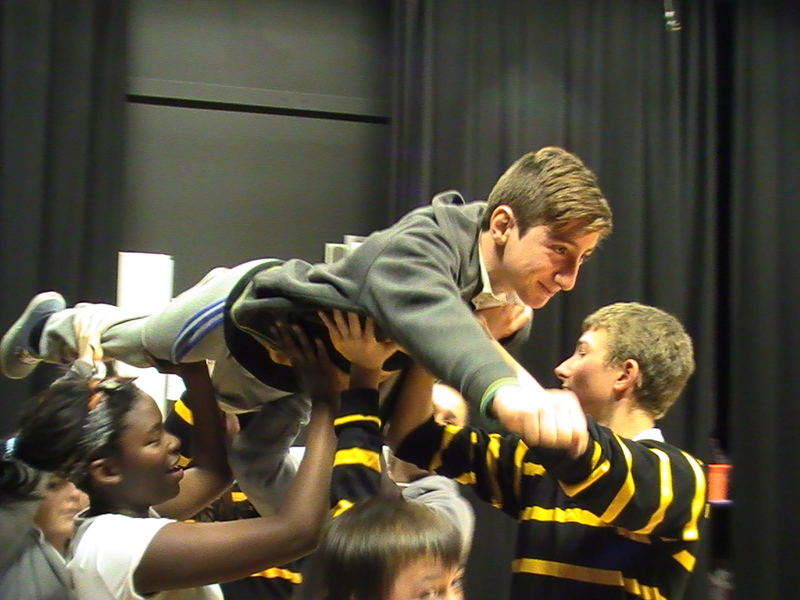 Each year my students make dramatic progress.” Alex Galvin, Head of Drama, St Bernadette’s School, Bristol. Joe May is both an acclaimed teacher/trainer and a highly successful international performer. As a teacher Joe May’s work was named by HMI inspectors as being key to turning round ‘failing’ schools. Joe delivers full and half day workshops that are highly engaging and motivating for students. The group will be on their feet and working throughout. Joe establishes a focused and professional atmosphere in the teaching space and sets professional expectations. Joe has been delivering tailored student workshops nationwide since 2001. His workshops are challenging, rigorous, disciplined and highly creative. Joe’s work on behalf of Bristol Excellence in Cities has been credited with the significant increase in A and A star grades achieved by students attending annual mask and physical theatre workshops. Ray Priest, Headteacher, City Academy, Bristol. Practical, immediately useful strategies through highly engaging, intelligent training: hearts, minds and skills. High quality workshops can be tailored to all ages. 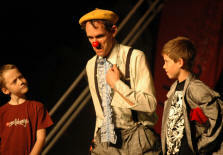 Topics include: Physical Theatre; Clown; Acrobatics; Juggling; Mask and Becoming a performer. Workshops can be devised to suit your needs. If you have an idea or a need, talk to me.